Two weeks before Christmas, as daylight continues to fade into the darkest days of winter, a Lessons and Carols service at Eastern Mennonite University will illuminate candles as symbols of coming light and hope — and premier a new musical composition. 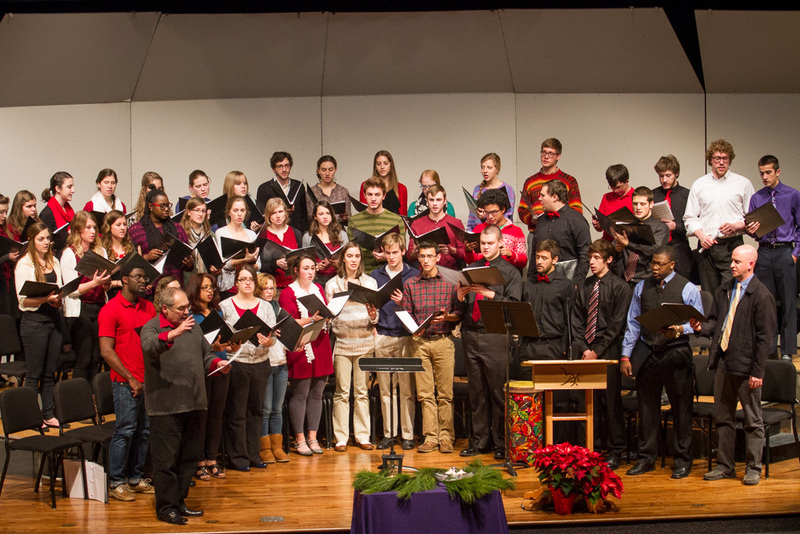 The service, a collaboration between Campus Ministries and the music department, will begin at 7 p.m. on Monday, Dec. 11, in Lehman Auditorium, and is free and open to the public. A freewill offering will benefit the Campus Ministries Compassion Fund. Walker, a Quaker based in Vermont, has received various awards for her compositions, which include over 300 commissioned works for orchestra, chamber ensembles, chorus, and solo voice. Her work has been prominently featured by EMU music professor Joan Griffing’s chamber group Musica Harmonia.